Image: The only rock we eat (2019), dinner performance, Keg de Souza with Lucien Alperstein, ACE Open, Kaurna/ Adelaide. Photo Lucien Alperstein. Complementing the exhibition Bruised, Art Ecology & Action in Asia, Bruised Food: a Living Laboratory presents art and events in a working kitchen within RMIT Gallery, in order to engage the pubic in questions of how social practice artists engage with food and politics. Curated by Marnie Badham and Francis Maravillas, the Living Lab features artists Keg de Souza with Lucien Alperstein, Arahmaiani, Rhett D’Costa, Elia Nurvista and Stephen Loo. Through an experimental approach to testing, creating, engaging with, and displaying artistic ephemera and documentation, Bruised Food will present a series of process-focused projects from translocal artists (Asia / Australia) who will activate their research and audiences through performances, installations, workshops and critical dialogues around the precarious ecologies of food and art in a globalising world. The artists will be working in the Lab throughout the exhibition. 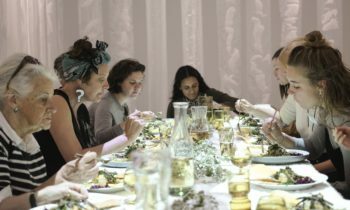 Visitors to the Living Lab can see Keg de Souza’s minimalist art installation comprised of a salt encrusted dinner table with projections of the Melbourne desalination plant. Through a performative lunch this work takes us around the world through stories of salt as currency, the cause of wars and revolutions, as part of trade routes and urban development and brings us back to Naarm/ Melbourne where surrounding local agriculture is struggling with changing salinity conditions, coupled with a drought prone environment. 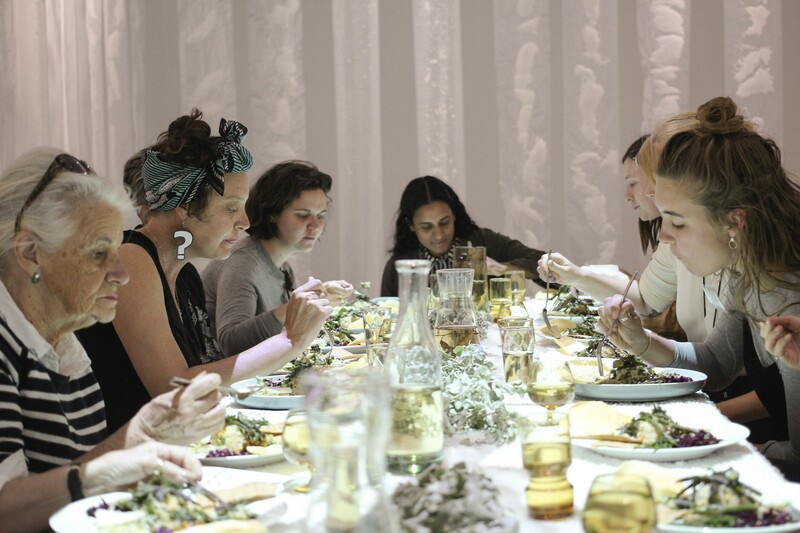 The meal, comprised of salt tolerant plants, proposes a way we can think about our relationship to salt through the future of food production and consumption, by adapting our diets to suit the changing environment around us. 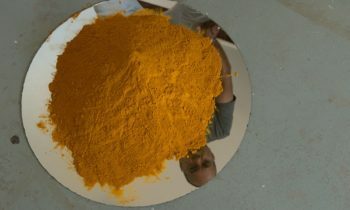 Visitors to the Living Lab can see the space function as a site for experimentation for Rhett D’Costa’s Masala Mix. The floor will be covered in handmade paper as a way to ‘draw’ or ‘’trace’ the activities of the artist residency. Seven large mounds of colourful spices will be formed on the floor in the middle of the room. Throughout the installation, the artist and a cultural geographer will work on the paper using stains from the spice mounds, words captured from the lunch, and other forms of knowledge harnessed. The artist invites audience engagement throughout the lab. So much ambiguity surrounds the Anglo Indian community in terms of definitions, histories, and narratives around colonisation and migration. The title for this project, Masala Mix: Opening the Anglo-Indian Tiffin, plays on the colloquial term for an Anglo Indian , ‘mixed masala’, and the tiffin carrier which is a form of lunch box used to transport food in some Asian countries. Visitors to the Living Lab can meet Indonesian artist Elia Nurvista, who will be ‘in residence’ at various times, conducting workshops, performances, and artist orchestrated meals and talks. 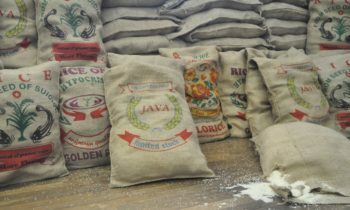 The project will examine the complex entanglement of rice in global / local dynamics of exchange and the contradictory relations that it engenders in Asian transnational and diasporic contexts in Australia. 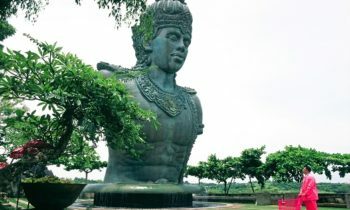 As one of the world’s major food crops and staple food, rice is unique in the extent and variety of its uses and its shaping of societies and cultures, particularly in Asia. Significantly, the politics and economics of rice in the region have been transformed by processes of globalisation, new agricultural practices and technologies as well as changing diets and tastes. At the same time, the ecology of rice is embedded in established food and socio-cultural systems that are at once local and traditional. Visitors to the Living Lab will see the space set up as a studio for Stephen Loo’s performance-philosophy based art practice. Of Chinese Malaysian Portuguese heritage, the artist will be ‘tuning’ his instruments with preliminary recordings leading up to the Autonomous Sensory Meridian Orchestra for a Thursday lunch and performance event, a remnant sound installation will fill the gallery for the remainder of the week. Careful Whispers is an in-gallery experimentation, composition and choreography of a three-course meal towards a performative acoustic banquet by eight diners. The work relies on a folding of the symphony of outward sounds emanating from mastication amplified in the space of the gallery, and the internal acoustics of eating transmitted between the evolutionarily connected jawbone and the three ossicles of the human inner-ear. Based on the research on the neuropsychological condition of ASMR (Autonomous Sensory Meridian Response) considers the material, spatial, cultural and geographical relation between orality and aurality, speaking and hearing, and more interestingly hearing and eating. In the final week of the exhibition, curators Marnie Badham and Francis Maravillas will display artistic ephemera and documentation (objects, photographs, videos) of the four social art work projects of the living laboratory. Visitors to the Living Lab can see how the curators display the outcomes of live artworks in a gallery setting.